FilmLand Empire: Logan's Run remake with Ryan Gosling: Red and green satin jumpsuits revival? 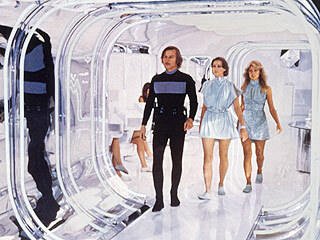 Logan's Run remake with Ryan Gosling: Red and green satin jumpsuits revival? 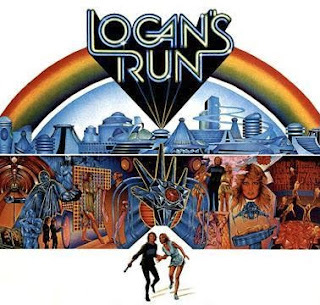 The long gestated Logan's run remake is finally back on track (Bryan Singer was once rumoured to be in the running), with fantastically bonkers Danish director Nicolas Winding Refn (Bronson, Valhalla Rising) at the helm and no less than current indie poster boy Ryan Gosling in the lead part. If you have not seen it, the premise was of a world where the remaining human population lived under a dome, free from doing any work of any kind, living a life of leisure with robots doing all the labour. There was only one catch... life had to stop at 30. When reaching their 30th birthday, people were expected to sacrifice themselves in the bizarre ceremony of the carrousel, flying up to a red crystal like moths to a flame before exploding, allegedly to be reborn. 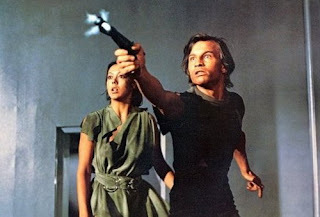 Logan (Michael York) and Jessica (Jenny Agutter) dared to challenge this death sentence and discovered there was a world outside a dome. This made such a big impact on me when I saw it on tv when I was a child that I still vividly remember some of the scenes all these years later. 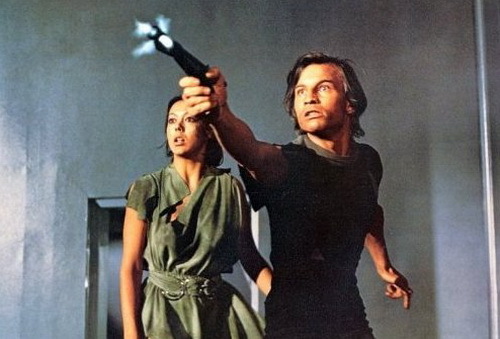 It was part of a wave of more adult orientated and cerebral sci-fi films in the 70's, just as Star Wars was about to put an end to all this. Obviously the setting (what passed for futuristic in the 70's, a kind of shopping mall esthetic with mirrors and beige plastic looking walls) and the costumes (all jumpsuits and red and green tight satin outfits, plus Farah Fawcett and her fabulously bouffant hair and sparkly silver outfit) have all aged terribly. 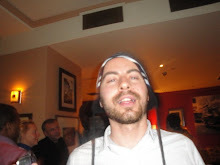 But the dark undertone and the very topical subject of the obsession with youth still work very well and isn't it time for the sparkly silver toga revival anyway? So I am excited to see what Nicolas Winding Refn will make of this. If all goes well, the remake is due in 2012.